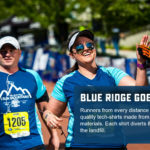 The Blue Ridge Marathon was created by the Roanoke Outside to showcase the region’s commitment to making outdoor recreation and environmental stewardship a core component of the Roanoke Region lifestyle. This couldn’t be done without the support of community and sponsors. Sponsorship opportunities are available and can be structured to give your company recognition locally, regionally, and nationally. If you are interested in learning more about how your company can get involved, please contact our event manager Julia Boas to request a Sponsorship Packet. Foot Levelers specializes in products that are designed to improve your quality of life. From our individually designed Stabilizing Orthotics, to our customized footwear and support pillows—we want you to live a pain free and healthy life. We can improve your overall health by supporting your foundation—your feet. By stabilizing and balancing your feet, Foot Levelers’ orthotics enhance your body’s performance and efficiency, reduce pain, and contribute to your total body wellness. With our orthotics, you can live your life in balance. The Roanoke Region of Virginia is recognized as a top place to work, do business, and invest. The economy is strong and stable and gaining momentum in high-tech fields such as life sciences, mechatronics, advanced manufacturing, and automotive components. The pro-business climate encourages success and attracts businesses who want to take advantage of cutting edge research institutions, low costs of doing business, excellent market access by road, rail, and air; and a skilled, productive workforce. All these advantages make the Roanoke Region, located around Roanoke, Virginia, the best place for business and business people. The Roanoke Regional Partnership the area’s regional economic development organization. Visit Roanoke.org to learn more about working, living, and playing in Roanoke, VA.
A leading healthcare provider in western Virginia, Carilion Clinic is committed to delivering highly integrated, comprehensive care for patients. With the commitment of over 600 physicians and a network of eight not-for-profit hospitals, Carilion Clinic concentrates on patient-centered care, research and medical education. Through its partnership with Virginia Tech to create the Virginia Tech Carilion School of Medicine, Carilion is bringing the most up-to-date treatments to patients and creating a vital information resource for physicians. At Anthem Blue Cross and Blue Shield we understand our health connects us to each other. What we all do impacts those around us. So Anthem is dedicated to delivering better care to our members, providing greater value to our customers and helping improve the health of our communities. Learn more at Anthem.com. The Roanoke Valley in Virginia’s Blue Ridge is the destination for your next sporting event. With our combination of award-winning sports facilities, convenient location in the Mid-Atlantic, and exceptional service, your players, coaches, and fans will have an outstanding time in the heart of the Blue Ridge Mountains. 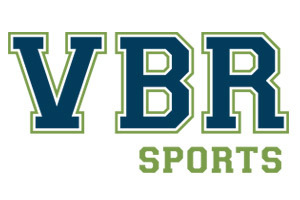 There are indoor and outdoor venues to accommodate all types of sports throughout the year, and the team at Visit Virginia’s Blue Ridge will work with you to find lodging, dining, and recreation opportunities that offer an all-around experience. It’s always championship season in Virginia’s Blue Ridge. Let’s play! Family owned and operated since 1930, Fink’s Jewelers is committed to exceptional quality, service and selection. We proudly offer the industries’ finest Swiss timepieces such as Rolex, Cartier, TAG Heuer, Breitling, and the hottest designer jewelry fashions from David Yurman, John Hardy, Mikimoto pearls and much more! Come into any of our 14 locations and discover why Fink’s Jewelers is one of the country’s “Top 50” jewelers. Visit us online at finks.com. Kroger is a huge supporter of our event and the Roanoke community as a whole. They are also on a mission to have “Zero Hunger Zero Waste” throughout our country. More than 40% of the food produced in the US is uneaten, yet 1 in 8 Americans struggle with hunger. Food waste undermines food security. Support Kroger and end hunger. The Roanoke Region is a premier spot for outdoor recreation. Visitors and residents have easy access to some of the best cycling, fishing, water sports, and hiking in North America. All these advantages – combined with excellent urban amenities – set amidst a scenic background of glistening lakes and majestic mountains and with a mild-temperate climate, make the Roanoke Region a great place to visit, work, and live. 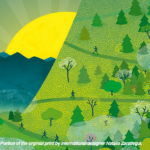 Visit RoanokeOutside.com to learn why Roanoke is one of the best outdoor towns around. 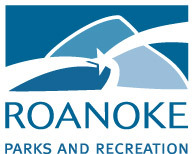 The Roanoke Parks & Recreation Department is to be positioned as a premier “best in class” parks and recreation system that provides high quality, maintained parks, recreation facilities and programs that are accessible and cost effective, as well as support the citizen’s vision for cultural unity and a livable and healthy lifestyle that creates high economic impact and value for living and working in Roanoke. Our mission is to maximize all available resources to deliver parks, recreation facilities, and programs that are attractive, clean, accessible and provide memorable experiences. The Department will serve citizens of all ages to create a desirable community to live, work, and play. We measure our success by customer satisfaction, efficiency, and community development of our public spaces and recreation services that meet the values and needs of our citizens and visitors. Everything we do at Fleet Feet Sports is geared toward fitting you as an individual. Whether it’s footwear, apparel, sports bras, or accessories, you have a fit that is best for you and we’re here to help you find it. THAT’S OUR FITLOSOPHY. The story of Parkway Brewing Company is a love story, a story that embodies the American Dream, a story of do-it-yourself determination, a story that continues on an exciting journey- much like the scenic highway for which Parkway Brewing is named. Two couples with a dream: a Master Brewer with a scientist’s brain and an artist’s palate, a visionary instigator with a dogged determination and their two creative and clever wives saw craft beer culture exploding across the nation and wanted to bring it home to the mountains of SW Virginia. Since opening in 2013 on Kessler Mill Road in tiny Salem, Virginia, Parkway Brewing Company has not only created some of the state’s tastiest brews, but they have created a place that has brought together a community of like-minded, free-spirited beer lovers with a penchant for the great outdoors. Their original and distinctive branding has cemented their place on the map amidst a sea of new breweries. Martin’s Downtown: a Downtown Roanoke destination for great food and live music! Menu includes: Burgers & Bison Burgers, Tuna Tacos, Award Winning Ribs & BBQ, Gourmet Mac & Cheese, Fish & Chips. and more. Named 2012 Music Venue of the Year by Home Grown Music Network. National, Regional and Local Live Performances Tuesday – Saturday. Visit www.MartinsDowntown.com for full menu and calendar. Walkabout Outfitter has all the quality merchandise to get you ready to hike the Appalachian Trail or just bop around town. You’ll find great name brands like Patagonia, Vibram Finger Shoes, The North Face,Keen & more. Located in Roanoke, Lexington, and Harrisonburg VA. The overall Half Marathon winners (top 3, male and female) will each receive a gift certficate ($250/$150/$100) valid at any one of our four stores.Walkabout Outfitter has all the quality merchandise to get you ready to hike the Appalachian Trail or just bop around town. You’ll find great name brands like Patagonia, Vibram Finger Shoes, The North Face,Keen & more. Located in Roanoke, Lexington, and Harrisonburg VA.
As a not-for-profit financial cooperative owned and operated by our members, Member One FCU reinvests profits in our members by offering higher dividend rates on deposit accounts, lower rates on loans, fewer fees, and 24/7 convenience. Member deposits are federally insured up to $250,000 by the National Credit Union Association (NCUA), the strongest deposit insurance fund in the country. Member One also gives back to the community through generous donations to non-profit organizations, charities, and community projects. FloydFest is a FIVE-day celebration of music and art nestled in the beautiful Blue Ridge Mountains of southwest Virginia! Bridging the gap between genres, generations and cultures, the festival features over 100 performers on 10 stages! Second place overall male and female finisher of the Blue Ridge Marathon will receive a pair of four-day passes to FloydFest. The overall Half Marathon winners (top 3, male and female) will each receive a gift certficate ($250/$150/$100) valid at any Black Dog Architectural Salvage offers a shopping experience like none other in Southwest Virginia! Over 40,000 square feet of treasures from around the world including architectural antiques, home and garden accessories, custom designs, regional artwork and an interior design marketplace . Located halfway between Downtown Roanoke and Historic Grandin Village. 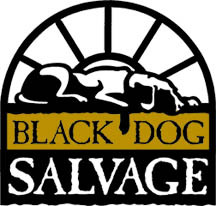 Open Monday – Saturday from 9am-5pm and online at www.blackdogsalvage.com. Find us on Facebook at www.facebook.com/blackdogsalvage. 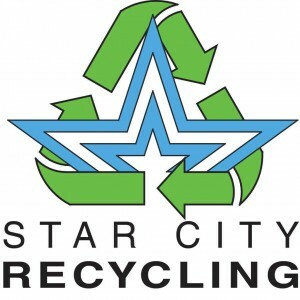 Star City Recycling provides a weekly curbside recycling service for the Roanoke Valley, our goal is to make recycling as easy as possible here in our area. One bin, no sorting, and every week we’ll be by to pick it up!